yes, i know, not another banana bread recipe. but this one, at least for me, is different. i have yet to see, or come up with a gluten free banana bread using nutrient rich flours. unlike most gluten free flours, oat flour, buckwheat flour, and almond flour, are easier to digest, and have nutrients and minerals that are beneficial to your body. health aside, i really enjoy a good banana bread. there’s a place across the street from us that has a chocolate or cocoa banana bread that is insanely good. frank would often get a slice, and give me some bites. since then i have been thinking about that bread and trying to recreate it. this is the closest i’ve come, and i hope you enjoy it. the original recipe does not include cocoa powder or chocolate, so i made some changes. since i was adding cocoa powder (which is quite dry) i reduced the amount of flaxmeal by a tablespoon. also, i used agave in place of honey, and used a little less than what was called for. in addition, i reduced the amount of vanilla extract because i was adding chocolate. 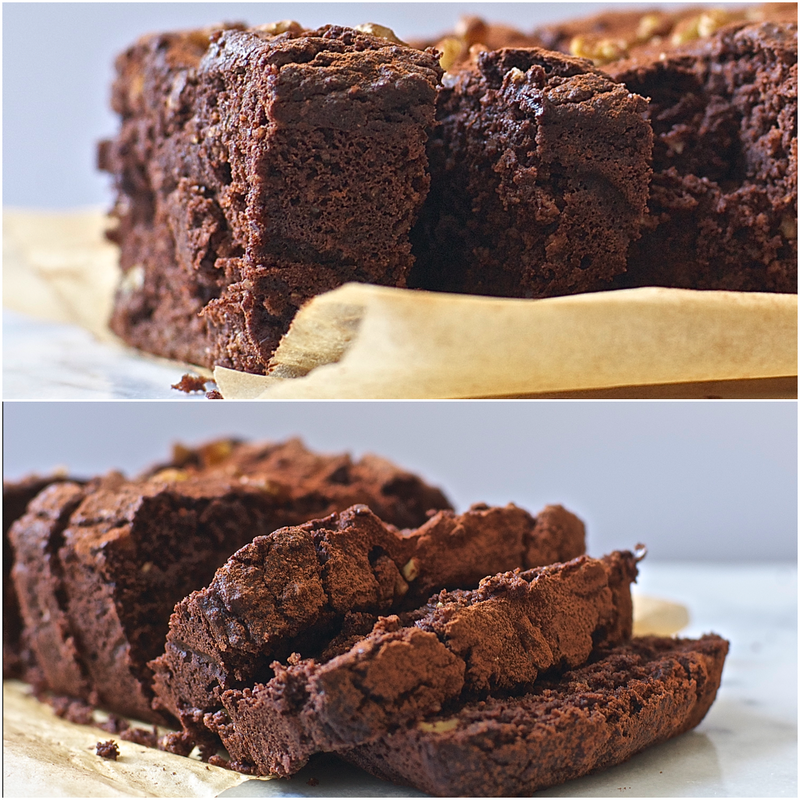 if you’re wanting to make cocoa banana bread and you aren’t gluten free, or don’t have the flours listed above, you can easily add cocoa powder and chocolate to your go-to banana bread recipe.